Hello everybody! I’ve finally made it safe and sound. I hope all of you are doing great! We finally got our internet and cable hooked up yesterday and it feels gooood! 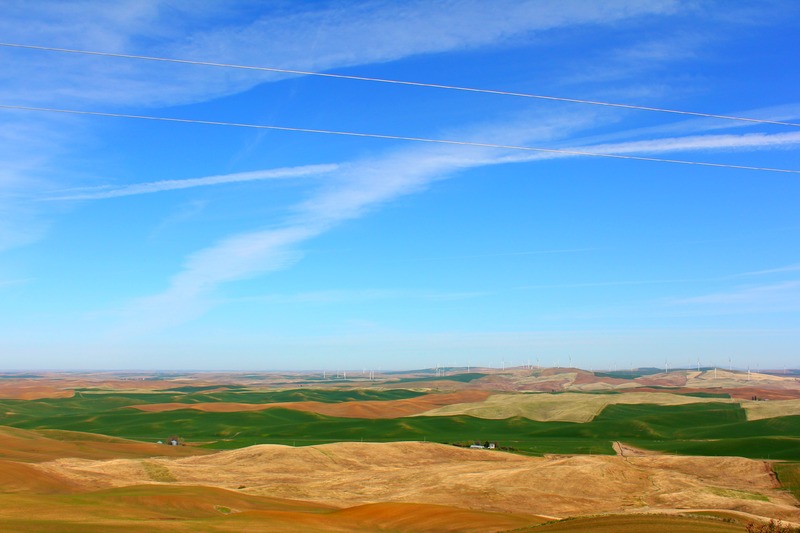 This is the Palouse, located on the Idaho/Washington border. This place is truly amazing. I don’t know about you, but I absolutely love beautiful scenery and this place has views that I’ve never seen before. I was just in awe. These pictures don’t do it justice at all, there are far better ones out there, but I’ve never seen so many green rolling hills all in one place. It just doesn’t look real! When you’re standing there viewing it, you’ll be speechless. I saw photos of Palouse quite a while before we moved and when I saw it, I immediately knew I HAD to see it in person since we’d be passing through, so I did! I really wish I would’ve had time to stay a bit longer and get some better shots but we were on a time crunch since we were actually en route to our new place, so it was kind of rushed. I spent most of my time lost and looking for the best places to take the pictures than actually taking them hmph. Well, I’m really excited to be back on here and I’m slowly trying to catch up on what you all have been up to and what I’ve been missing out on. Toodles, loves!